CES 2019 was pretty cool! And we got to work with some of the coolest clients. 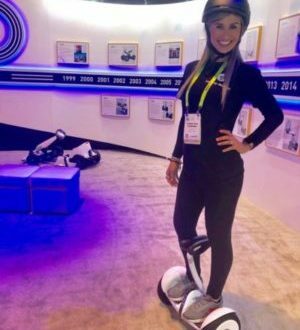 Check out Elena, our Las Vegas demo model, showing off Segways amazing new Drift W1 e-skates! How fun do these look. Imagine getting around the city on these futuristic skates! Segways new line of personal mobility products allows you to travel conveniently, quickly, greenly and most importantly – fashionably.